Chichester City Ladies assistant manager Lee Hurrell is urging his side to “spoil the party” as his table-topping team head to promotion rivals Coventry United. 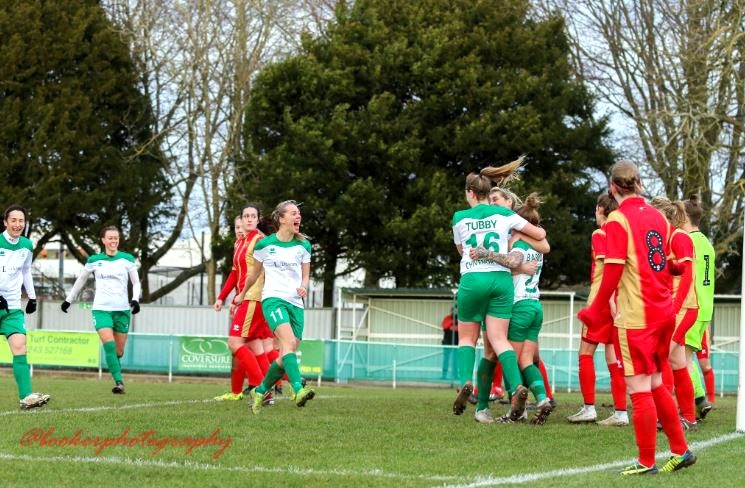 The Green and White Army make the long trip to the Midlands with a five point lead over Cov at the top of the FA Women’s National League South, albeit having played three games more. With the season starting to draw to a close, Chi know that three points at their closest rivals could set them up for a title winning season. But first Chi must end a hoodoo against their Midlands rivals and end their undefeated run in the league. Despite the match being brought forward a fortnight by the league, the assistant boss believes his side go into the game full of confidence after defeating MK Dons 5-2 last weekend. Hurrell said: “We need to take them [games] one week a time. We know what to expect from Cov as we have played them twice already, both times down here where they have beaten us. After falling behind to a debatable penalty, goals from Molly Clark, Lauren Cheshire, Rebecca Barron and a brace from Sara Tubby sealed the win against the Dons.